First things first - ***Congratulations*** on considering and making the switch to cloth pads! You have joined a growing number of women who find using reusables a better choice. Read reviews; reading reviews that have been left on the sellers site is helpful. Reviews that are written on blogs can also be informative, but please bear in mind that the blogger has often received a free or heavily discounted product, not always - but more often than not. Consider your budget, it is not desirable to buy an instant stash of pads - as if you find they are not what you were hoping for you have wasted your money, even if you received a bulk order discount. Start slowly, buying one or two pads from sellers you are interested in before committing to a large order. Wear the pads for one or two cycles to see if the fit and feel is right for you before purchasing more. Look at your old disposables, what length and width are these? This can give you an idea of what length and width to look for in reusables. 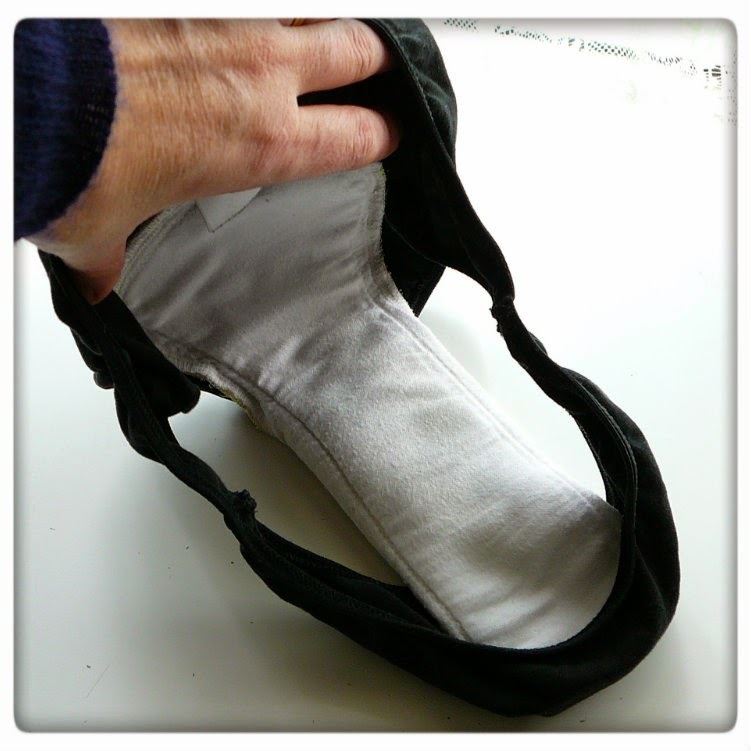 Some cinching of your underwears gusset can be expected and can even be desirable to the stability of the pad. However, if this is too much it can make the pad unstable. The length, width and wing coverage of the pad do have a bearing on how stable the pad is even when there is a degree of cinching of the underwears gusset. In this example the length and wing coverage of this pad adds to its stability (example shown is the Fantail pad). Look at the pads fabric composition. How many layers of absorbency are in the core of the pad? Does the seller disclose this information? 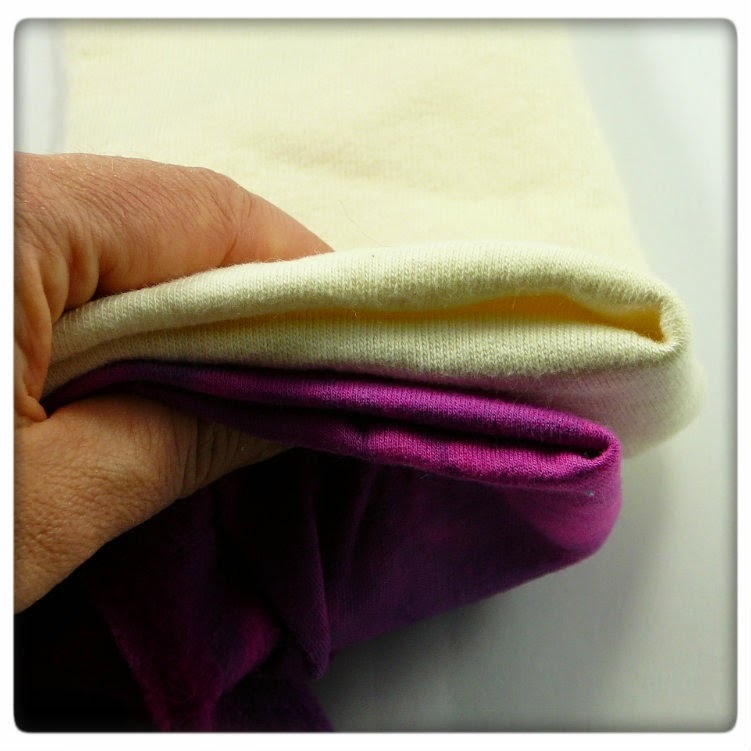 What is the weight of bamboo fleece or other absorbent material in the pad? Does the seller disclose this information? The weight of fleece makes a difference to the absorbency of a pad. Fleece of 300gms/m bamboo is less absorbent than 500gms/m weight bamboo fleece. As a general guide one layer of fleece is usually a light pad or liner, 2 layers of 300gms light to moderate, 2 layers of 500gms moderate to heavy (dependent on length of pad), 3 layers 500gms bamboo fleece super heavy. This picture shows the difference in weight between a 300gms bamboo fleece and a 500gms fleece (each layer is doubled). 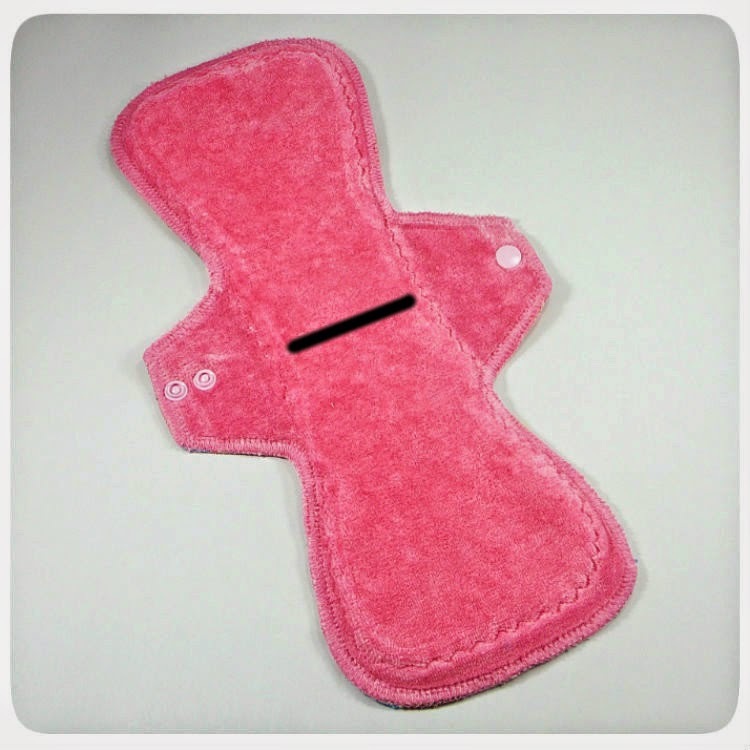 Try to purchase pads with various different fabric facings to see what you prefer. This is very personal to each individual. One person may rave about bamboo velour, but you may find that you are not so enamoured and in fact prefer a flat fabric such as a flannel or quilters cotton. Consider your flow. How heavy is it? Are you are gusher? Do you have times in your cycle when you gush and others where you shed at a slower rate (this is fairly typical). You may wish to purchase different lengths and absorbencies for each individual stage of your cycle. For example, collect a few longer pads (26cm or longer) with a textured top fabric such as bamboo velour for your gushing days. When flow is slowing you may prefer flannel or flat cotton facings in shorter lengths. Do you sew? Can you either make your own or make part of your stash yourself? The facebook group https://www.facebook.com/groups/SewClothPads/ is well worth joining if you are at all interested in cloth pads :) Within this group the lovely admins have compiled a "files" section which contains all sorts of information about making cloth pads, and also has lists of patterns both for sale and free. If you are using pads as back up for your menstrual cup a wetproof fabric such as PUL or Windpro fleece is not always necessary. If considering sewing cloth pads using fleece as a barrier layer it must be dense, check to see if you can see light through it, if you can see a lot of light it is not dense enough. Alternatively old wool jumpers which have been felted (washed in high heat) can also be utilized as a barrier layer (as long as they do not turn out to be too thick). Some have the view that if the pad has enough absorbency, there is no need for a barrier layer. This is all well and good if you don't mind wearing a very thick pad, or you are able to check on your pad frequently throughout the day (or night).